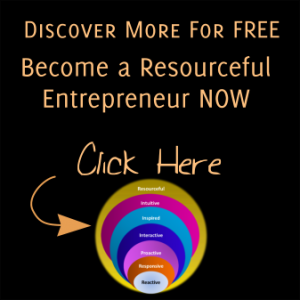 The Resourceful Entrepreneur is part of the Resourceful Group, which is dedicated to helping people have better, happier lives and achieve more meaning and fulfillment in their careers and business ventures. All our activities – publications, writings, media, courses, events, coaching and consulting – are dedicated to offering practical wisdom designed with care and based on the latest research. We aim to deliver insight and create transformation for organisations and individuals who want to perform better and have a sustainable presence in a changing world which demands excellence and collaboration. Passionate about human potential, Christine is a results-orientated business and personal growth strategist who inspires and supports people to create richer, more resourceful, fulfilling and compassionate lives of spirit and heart so that they spend more time doing what they love – and loving what they do. Christine is renowned for her creative resourcefulness and wisdom, her penetrating analysis, insights and ability to provoke transformational thinking and action for organisations and individual coaching and consulting clients worldwide. As a sought-after expert in Organisational Transformation, Success and Leadership Development, Christine has over 25 years’ service in Director level corporate and consulting roles in Marketing, Strategic Planning and Leadership Development with major organisations. In her most recent corporate role as head of marketing for a Telecoms and Utilities company, Christine was responsible for marketing and training for over 4,500 sales people for whom she organized large scale events across the UK, and designed sales materials and ongoing support. The visionary Founder Editor of ReSource, a leading intelligence provider in business and personal growth, Christine enjoys a privileged role sharing thoughts and ideas with world leaders in the fields of current affairs, business, social and personal education. An Author, Business Consultant, Executive Coach, Mentor, Speaker and published Poet, Christine is multifaceted and dedicated to the development of the whole person, applying her wisdom and original thinking to help foster beneficial change on a global scale. Christine Miller has lived in Europe, Scandinavia and Australia, developing an understanding of gender and cultural difference, leadership development and awareness of the challenges posed by frequent change. Christine is dedicated to helping others uncover and fulfill their true potential through understanding the power of the mind. She is an acclaimed poet, author, and highly respected consultant and speaker at many conferences. 25 years’ experience in running a family-owned consultancy, coupled with director-level roles in marketing and research for major multi-nationals, ranging from the automotive trade to textiles and packaging, have given her both breadth and depth in her knowledge of many areas of business and education, where she advocates advanced neuro-scientific and powerful mind management learning principles for rapid transformation of the individual and the organization. In her last corporate position as head of marketing for a fast-growing telecoms and utilities plc Christine was responsible for contributing and implementing ideas for future growth in conjunction with other board members and organizing and delivering training for 4500. Always keen to make a difference, Christine was elected President of her college at university, and has held Trustee positions for several charities. An accomplished, informative and entertaining public speaker, Christine has delivered over 500 workshops and talks to international audiences from 20 to 2,000, on a range of topics within the personal and business growth subject area including The Power of Thought, Understanding the Human Brain, Breakthrough to Success, Setting and Achieving Goals, Presentation Skills, Time Management, Communication in Action, How to Deliver Bad News, Managing Your State of Mind, Creating Your Personal Welfare State, Handling Difficult People and Situations, and Transforming Teams. In 2004, Christine founded ReSource, a publication which is dedicated to global growth and potential, and to the development of the ultimate human resource, the whole person. As the visionary Founder and Editor of ReSource, Christine is privileged to share thoughts and ideas with many world leaders such as HH the Dalai Lama, Malcolm Gladwell, Edward de Bono, Sir Terry Leahy in the fields of spirituality and personal and business growth.Offering a unique, unbiased perspective of this dynamic and rapidly expanding area, it acknowledges the ever-increasing interest of many people from all kinds of backgrounds and professions in learning more about themselves and their own possibilities for life-enhancing change – whether in business, personal or family life. Christine is committed to spreading wisdom and knowledge throughout the world. Sister company Porto Publishing is dedicated to producing the highest quality information for busy professionals who want to increase their knowledge and keep up with the ever changing world of personal and business growth and development. With strong values of contribution and service, the intention is to offer top quality information and knowledge – crucial in our fast-moving world – on a wide range of topics that are aimed to get readers thinking, and prompting people who want to live fulfilled and happy lives to find out more and take action. The most recent project is The ReSource Foundation which will launch formally in 2012. This is a global humanitarian venture designed as an umbrella organisation to bring together the disparate elements of the transformation, education and personal development worlds as a social enterprise in a non-competitive environment to create unity and transparency. 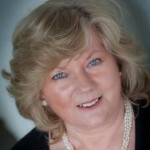 Christine is currently researching and writing a book on organisational change – ‘Love in the Boardroom’ and has recently completed over 50 interviews with key global leaders where she has gained deep insights into the current thinking on what is required for more sustainable and values based organisations to thrive in changing times. Discovering the powerful benefits of coaching, counselling, hypnotherapy and other interventions, Christine trained as a therapist and has completed a Masters Degree in Psychology. She acted as UK principal of Erickson College, introducing the highly regarded ‘Art and Science of Coaching’ ICF accredited training programme into the UK, together with Executive and Managerial Coaching programmes. 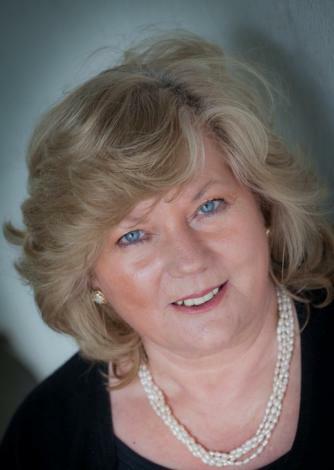 Christine is an NLP, Time Line Therapy and Hypnotherapy Master Practitioner and is trained in Clean Language Coaching, Metaphor and Storytelling. She is also a graduate of the Common Purpose Meridian Leadership Development Training, and is a healer and Reiki Master Teacher. Working as a consultant to business, specializing in leadership development, consultancy assignments have included launch of innovative products in the beauty and oral hygiene fields, achieving widespread publicity and increased sales. In private practice as a counsellor, coach and mentor, Christine deals with a wide range of issues. She also runs ‘Masques and Roles™’, ‘Resourceful State™’ and ‘Rewriting the Script™’ seminars and workshops in growth and development, and offers training for others in the techniques she has developed. Her workshop “The Creative State” facilitates the release of creative energies allowing participants to bring through heartfelt messages from the soul for personal, corporate and global transformation. 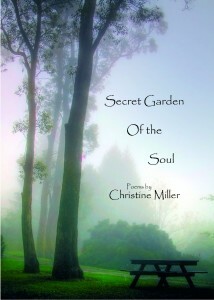 ‘Secret Garden of the Soul’, Christine’s first collection of poems, was published in December 2006 to great acclaim. 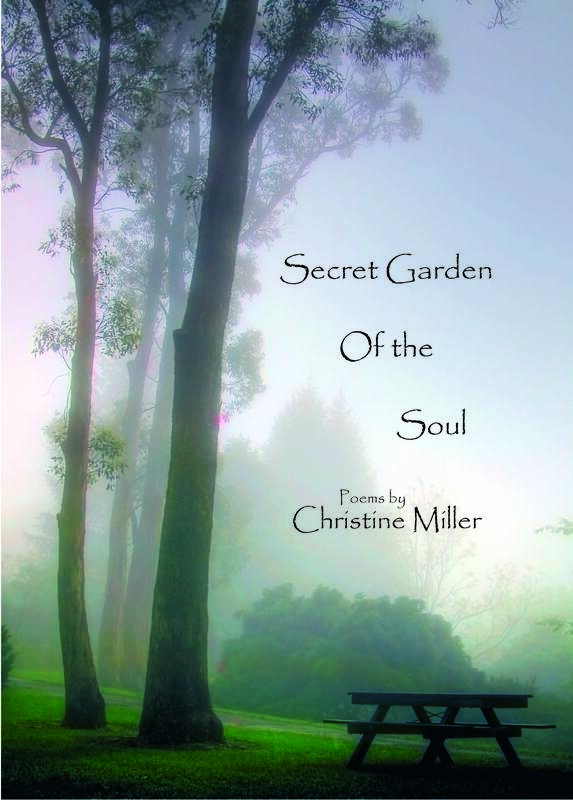 A moving collection of poetry, this book invites you on a journey to a place of inner peace, where the soul can dwell unfettered by everyday concerns, finding a meaning unique to your own life. Beautiful and soulful, these poems have the ability to touch the hearts and minds of many people. Demonstrating her great inner wisdom, Christine’s voice is much needed in today’s world. “I was very, very, impressed by you & your magazine!!!! Dr Jeanette Vos, US, educator and author of 10-million copy best-seller “The Learning Revolution”. I loved your article so much…… I feel your interview of ALL I ever did (maybe in my life) really GOT IT–who I am and why. Since then when we had the interview (in a very magical way) we found a funder, a wonderful Swiss guy, a business genius. I received the magazines just before I left on my trip, and didn’t have e mail access to tell you how gorgeous the article was. It is the most beautiful thing anyone has written about me and I honor you forever for it. It will be a permanent part of my press kit. to attend your workshop, which was very enlightening. “Christine is a highly motivated, compassionate lady with a rare vision for personal development in publishing. She brings an articulate and beautiful quality to her interviews, placing her interviewee’s needs first and works towards a collaborative and harmonious conclusion.